Now that your LinkedIn profile is looking good, use the information it contains to write your resume. A resume is not strictly required since most companies are happy with just a LinkedIn profile, but it never hurts to have one. There are many fancy resume templates available online, but I recommend something clean and simple. I follow a format similar to the way my LinkedIn is setup. Experienced Engineering Manager and Software Engineer with a BS in Computer Science. Author of Rails Crash Course. Speaker, community organizer, teacher, mentor, blogger. Add a heading, then list your experience. Put your job title in bold, followed by the company name and dates of employment. For your most recent roles, give 3-5 bullet points with the things you do as part of your job. Also include a list of technologies used in case someone is just scanning for keywords. If you don’t have a lot of professional experience, include volunteer work or personal / freelance projects here. This is especially important if you’re seeking your first job as a software engineer. If you’re looking for a coding job, but your only experience is driving for Uber, then your resume isn’t really helping. If you have a lot of experience, list fewer and fewer details for older jobs. For past positions maybe only list technologies used. For jobs that aren’t relevant to the position you’re currently seeking, only list the title, company, and dates. You might even leave these off assuming it wouldn’t look like a gap in employment. Finish up your resume with information about your education. List your college degree if you have one. List the bootcamp you attended and/or any online classes you’ve completed. If you haven’t done any of these things, just leave this section off. I would avoid doing something clever like “graduate of the school of life.” Some hiring managers might think that’s cute, but others will probably discard your resume. I make no mention of skills other than as part of my employment history. I don’t see the need for a big block of skills. Anyone can type a list of programming languages, show me what you really know by listing some experience. I also don’t mention references. Everyone knows you’ll provide references on request, so why bother taking up space on your resume? Many companies don’t even ask for references anymore. My resume is just under two pages long. Many people will tell you that your resume should fit on a single page. I don’t see how that’s possible for someone with a few different jobs and some education. List everything you need and don’t worry about the length. Finally, export your resume as a PDF. I don’t usually print my resume unless I’m going for an in-person interview. In that case, I print a few copies and stash them in my bag in case someone asks for it. So far no one has ever asked for a hard copy, but better safe than sorry. I can easily see how we’re connected. Do we know people in common? Maybe you used to work somewhere I used to work. Maybe you met someone I know in a user group. This connection could tell me what you’re really capable of, even if you aren’t good at selling yourself. It’s in a standard format. You can customize your profile page a little, but for the most part they all look the same. I know where to find your experience and education without thinking. It’s easy to quickly scan the page and get a sense of where you’ve been. 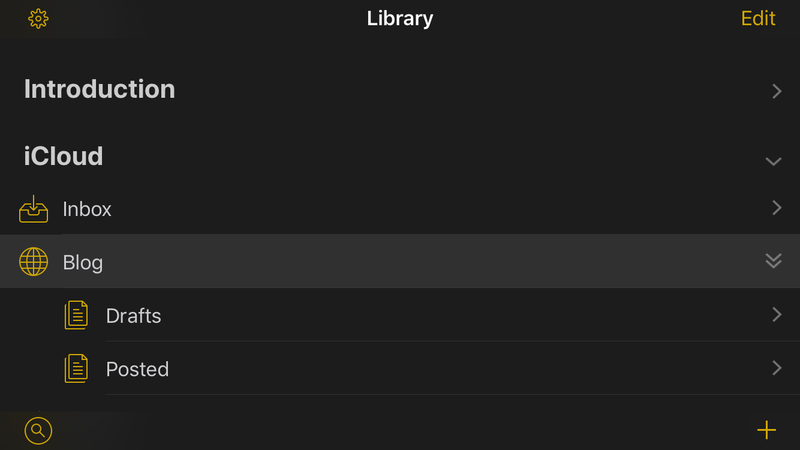 The first section is called the intro. As I said in my post about your GitHub profile, put a current, recognizable picture of yourself here. Next, add a headline consisting of your current job title and employer. Finally, add your summary. This is basically your elevator pitch. Think of one or two sentences that quickly tell an employer what you can do. The experience section can be a challenge for someone seeking their first coding job. How can you list experience when you don’t have any? Obviously, you can’t. If you’re currently working outside of the technology world, you should list your job. Even if it’s barista at Starbucks. Once you land your first technical job remove your earlier experience, unless you can make a compelling case for how it might make you more attractive to a future employer. For example, if you had management experience in a previous, non-technical job, you might want to keep that on your profile. Include a few sentences or bullet points describing what you accomplished at each of your previous jobs. If you aren’t sure what to write or how to word your accomplishments, try looking at job postings for similar jobs. Recruiters work hard getting the wording just right on their postings. Reuse their work. You can also add volunteer experience in this section. Many organizations need help building or updating their web site. You can also volunteer to teach coding or other skills in your free time. Code.org is always looking for programmers to volunteer to teach coding to kids in the classroom. The education section should be straight-forward. If you have a college degree, list it here along with your major field of study. Similarly, if you attended a coding bootcamp, list it here. You can also include relevant online courses such as those at Udemy,Coursera, or freeCodeCamp. List skills such as programming languages and frameworks, industry knowledge, and interpersonal skills in this section. If you have demonstrated these skills to other people, ask them to endorse you. An endorsement from someone tells me that you truly have the listed skill. Personal recommendations can be hard to get. Give recommendations and hope that the recipient will recommend you in turn. I would also directly ask for recommendations from managers and coworkers. Just be aware that asking for a recommendation on LinkedIn can be interpreted as a sign that you’re looking for a new job. Use the accomplishments section to highlight things like publications you’ve written, awards you’ve earned, or special projects you’ve completed. This can be a great way to fill out your profile if you don’t have a lot of experience yet. Also, include any foreign languages you speak here. New security vulnerabilities are discovered all the time, so it’s important that you keep your application and its dependencies up-to-date. I have first-hand experience with these alerts. Here’s what it looks like and how to fix any issues. As you probably know, I wrote the book Rails Crash Course which was published back in October 2014. This book included two sample applications which are hosted on GitHub. Being over 3 years old, these applications now have outdated dependencies with known security vulnerabilities. Note that only the owner of the repo or other who have been specifically assigned access to vulnerability alerts can see this message. Otherwise, it would be easy for attackers to locate vulnerable applications. Looking over the listed vulnerable dependencies, I notice that all of the gems appear to be part of Rails. With that in mind, I’ll first update Rails. Checking the application‘s Gemfile, I see that it’s using a fixed version of Rails. In this case the Gemfile is explicitly installing version 4.1.7. The security alert email recommends changing this to ~> 4.1.14.1. The tilde followed by a greater than ~> forms an arrow that means to install a version of Rails matching all but the last digit in the given number. In this case, it means to install version 4.1.14.n, where n is any number greater than or equal to 1. This way you can install security updates, while continuing to use the known good 4.1 version. Later versions, such as 5.2, may not be compatible with the application as written. Upgrading a Rails application to a new major version may require code changes and is a post for another day. After updating the Gemfile, run the command bin/bundle update rails. This will take a few minutes as bundler resolves dependencies then downloads and installs the newer version of Rails. Once that’s complete, make sure the application still runs. In a perfect world, this would be the end of this blog post. Unfortunately, Rails 4.1.14.1 also has a known security vulnerability. After pushing this change to GitHub, it recommended upgrading to version 4.2.5.1. Of course, Rails 4.2.5.1 also has a known security vulnerability. This required an upgrade to Rails 4.2.7.1. GitHub also pointed out a security vulnerability in the version of the jquery-rails gem I was using. On their recommendation, I upgraded it to version ~> 3.1.3. And with that, I was done. 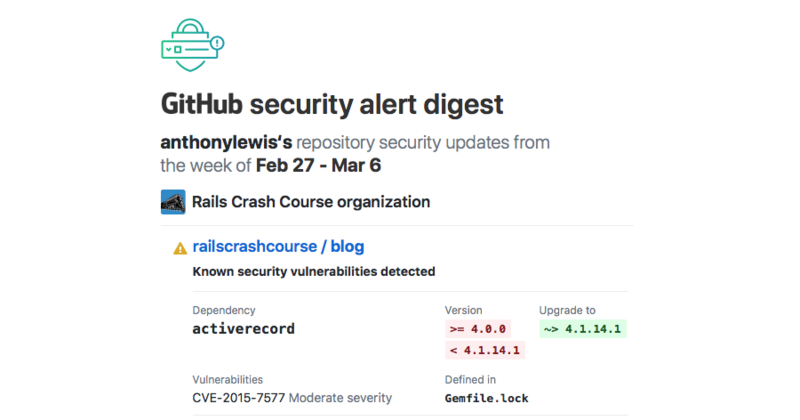 You can see the changes in the commit named Rails Security Update on GitHub. If you used a later version of Rails when you worked through the book you may not need these changes. Also, these instructions were only tested on Mac OS X. Users on Linux or Windows may need to make adjustments. I usually try to avoid meta posts, that is blog posts about blogging, but I thought this might be interesting to others looking to setup their own site. A blog can really help when you’re looking for a job as a programmer. I speak from experience. In a previous post I talked about switching to Jekyll so I could write my blog posts in Markdown and keep my site on Github. That was nice, but lately I’ve been spending more and more time writing in Ulysses. I started using Ulysses around the time of NaNoWriMo. With Ulysses I still write in Markdown and I can write on my laptop, iPad, or iPhone. In Ulysses it’s easy to organize my writing and the iCloud synchronization makes everything available everywhere. Ulysses even has built in support for publishing to Medium and WordPress. I like to own my content so, as the title suggests, I switched my site back to WordPress. That’s a screenshot of a small part of my Ulysses library on my iPhone in Dark Mode. I have a folder named Blog and sub folders for Drafts and Posted posts. Now whenever I come up with an idea for a blog post, I can quickly create a sheet for it. Then when I have some free time I can work on the post on any of my devices. Once it’s ready, I can publish to my site. Even from my iPhone, like I’m doing right now.